me and we decided to see where the Seminole Indians live. This Indian tribe is the one that offers this amazing day at Billie Swamp Safari. So we set off from Fort Lauderdale, west, for the 1 ½ hour drive into the Florida Everglades where the Indians live. Since living in South Florida for many years, I have heard of Billie Swamp Safari but today was the day to experience this for our selves. Crossing Alligator Alley, Interstate 75, there is not much to see on the road, flat swampland on the left and right and no exits on the road. The only exit approaching is exit 49, where Billie Swamp Safari is, so you cannot miss it. For about another 20 – 30 minute car ride, you drive through Seminole nation. From what I have been made to understand, the Seminoles have their own country within the United States because they never signed a peach treaty with us. Once within the park, your senses are overcome with sights and sounds. 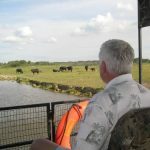 Animals everywhere, Swamped Buggies parked in Front, Tiki Huts, and the sounds of Airboats buzzing around off in the distant. This made us both excited to see what was going to happen. 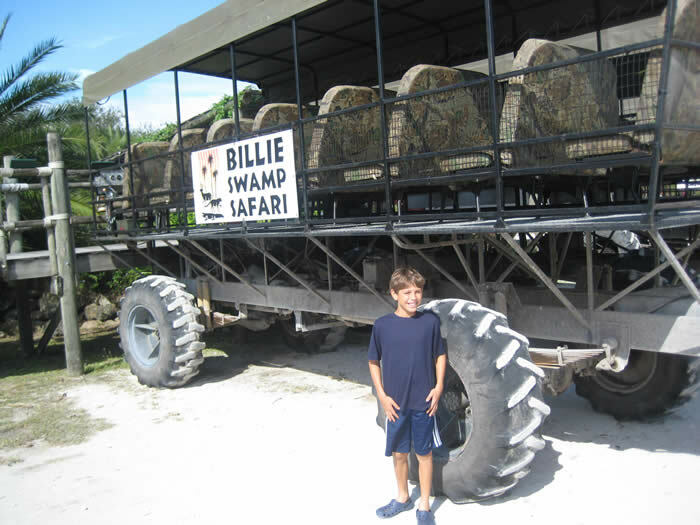 We bought our package for the day, Swamp Buggy and Airboat Excursion about $40 per person. Prior to our first excursion the swamp buggy, we had time to walk about the Indian village where we got to see the many Indian and Animal exhibitions. From there we jumped on our Swamp Buggy for a 1-hour tour. This was really exciting because the buggy is not little, holding up to 40 people, with huge wheels to drive through any water, and the ability to be up close to the animals we were going to encounter. 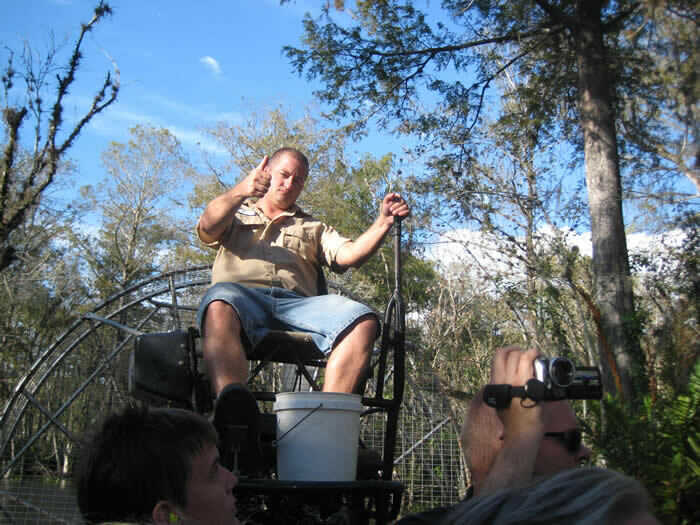 Our Guide, Wayne, 20+ years of experience with the everglades and the outdoors, was giving us the rules of the buggy. Since the buggy, was like being in a convertible, he warned up about tree limbs and potential animals getting at our fingers and limbs. But he still informed us to have fun. 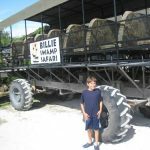 The Swamp buggy launched from the village and entered the everglades in a deep-water canal separating the village from the everglades. The splash of the water ensured us we were going to have a great time with Wayne. 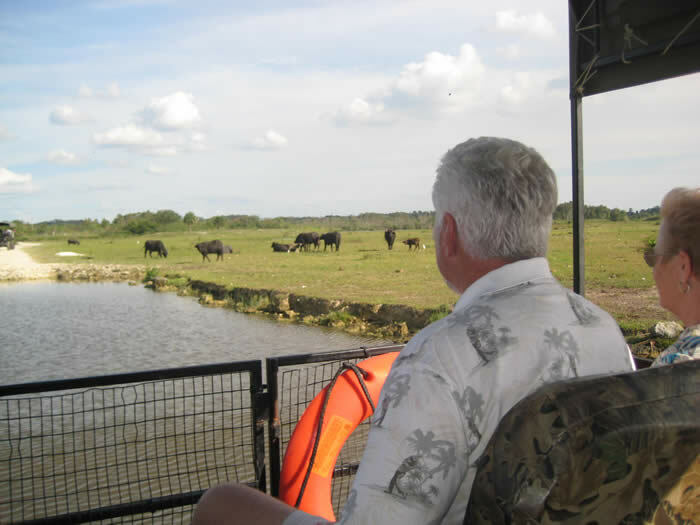 During the 60-minute ride, Wayne pointed out all kinds of animals to us, Water Buffalos, Wild Pigs and Boars, many different species of birds, and the best part many different Alligators. He also took us inside the everglades tree hammock where he taught about the different foliages and how the Indian used them for survival out there. 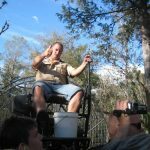 Everyone had a great time and we were disappointed when the Swamp Buggy ride was over. After the buggy, we headed towards the docks where the airboat was sitting. Being last on the boat, we sat in the front where the driver warned us we were going to get wet. We looked forward to the cool water since the day was so hot. 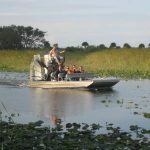 If you have never been on an airboat, the sound of the engine moving that propeller on the back is intense and very loud. They give you ear plugs to help protect your ears. The boat glides across the water more like a sled on snow. We moved quickly around bends and turns, where the driver was correct as we really got wet and soaked! He slowed the airboat down and found a spot where we ran into a huge alligator sitting on the bank. The driver explained to us about Alligators and how they live out there in the everglades. The driver moved the boat a few feet where the fish were feeding. 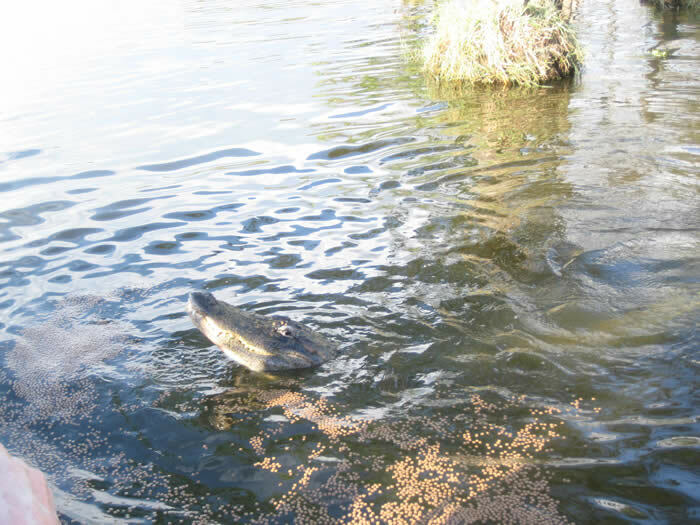 The fish feeding excited the alligators and 20 – 30 Alligators came after the fish. 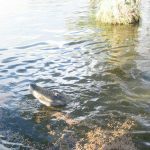 I have never seen an Alligator feeding frenzy and this was exciting to watch. We watched this for about 10 – 15 minutes and moved on to the finish. We were so glad to be in the boat and not in the water during the Alligators feeding time! 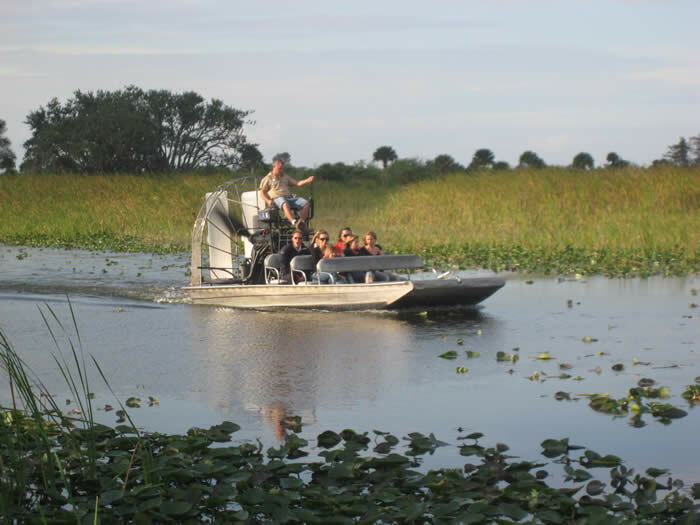 the everglades, obtain a greater understanding of the history and story of the Seminole Tribe of Indians, and have an unforgettable day to remember for a long time. I would recommend coming here if you are staying on the East Coast, from West Palm Beach to Miami, or the West Coast, from Ft. Myers to Marco Island. It is worthwhile and fun trip!